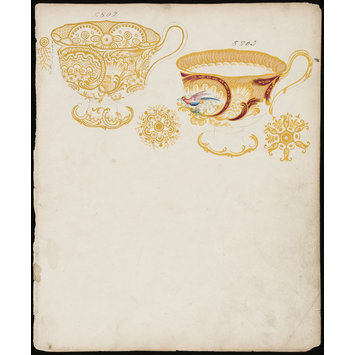 Design drawing in pen and ink and watercolour on paper showing designs for teacups on two sides of the same sheet. 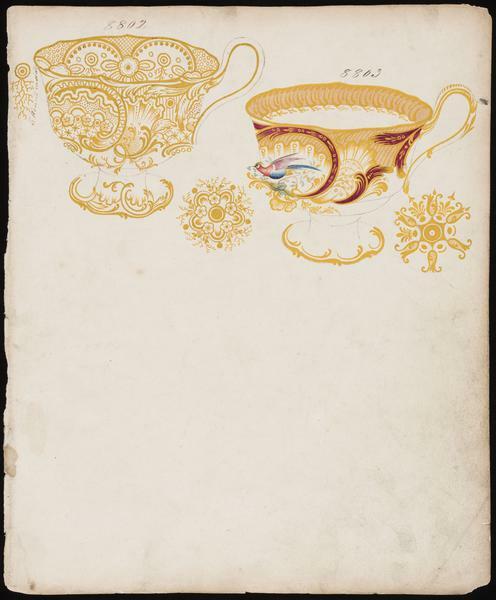 On the front are drawings of two teacups with floral and bird patterns, numbered 8802 and 8803. 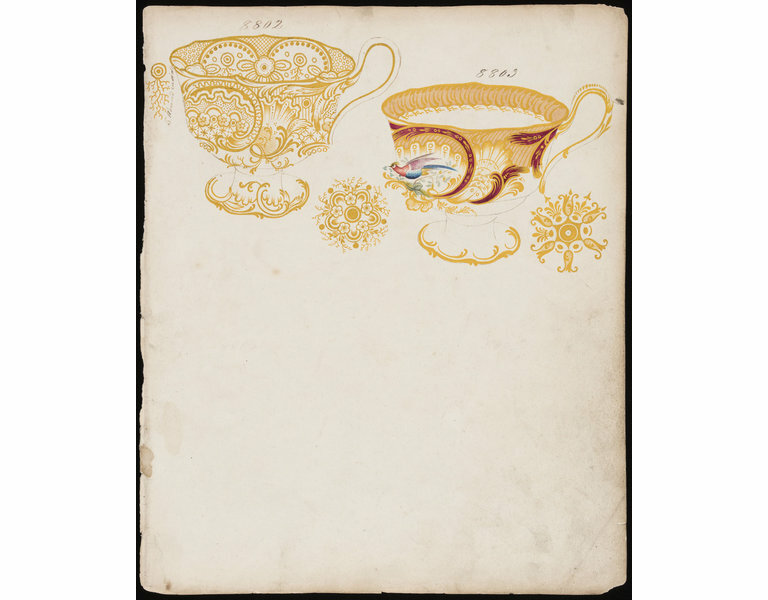 On the reverse are drawings of two similar teacups, numbered 8806 and 8807.